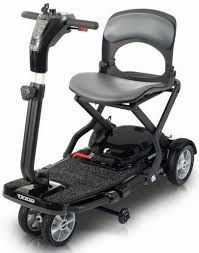 The Pride® Quest Folding Scooter is perfect for holidays home and abroad. 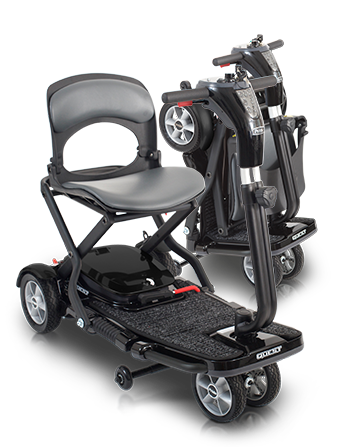 The Quest provides a comfortable ride and a simple easy-fold system. The Quest is portable and adjusts to fit perfectly inside any small space. The Quest is sleek, stylish and extremely easy to operate.